What will the patio area mainly be used for? Do I need a concrete slab or timber deck for the area? What style pergola do I need to cover the area? Does the patio, deck or pergola require council approval (D.A or CDC)? Patios are used for many different purposes but in general are used for entertaining guests, barbeques and a peaceful place to read the paper or have a cup of coffee. It is important to think about your own lifestyle and how often the area will be used for each purpose to allocate a suitable sized patio for your home. If you are entertaining guest regularly a larger and flashier patio will most likely fit your lifestyle. Maybe you are retired and will only be using the area for your daily meals and for a bit of quiet time, making a smaller sized patio for two people more appropriate. You can go big or small, modern or federation, quiet or loud. So always think about the space you require for your new patio area before wasting money on a patio that doesn’t meet your lifestyle requirements. Half Price Patios are always keen to build you the right patio space that fits you. When building your patio you may or may not have an appropriate pavement. If you already have something that is a bonus, if you don’t it is no problem. Half Price Patios offer concreted patios, timber and aluminium decks or even pavers. We can even resurface your existing concrete to give you a new looking finish. Timber decks are generally a dearer option opposed to concrete, although timber decks are a healthier choice for our environment as producing timber products use less energy than other materials and are beneficial to our environment by storing carbon from the our atmosphere. Hardwood timber decks are also very stylish and modern; commonly used on home improvement T.V shows like “The Block”, “House rules” and “Grand designs Australia”. Timber can offer appealing contrasts when used with metal products like pergolas or handrails. Timber decks are being used regularly in Australia these days as it is a natural product that benefits the environment plus Australia naturally offers a range of its own hardwood products. Half Price Patios are believers in using Aussie materials to do our part in sustaining Australia’s economy and environment. It is important to support Australian resources and labour. Pergolas for patio areas come in all types of shapes and sizes. Picking the correct style can either make or break your patio area. 1. How much height do I have to work with? If your house offers enough height to your fascia or brick wall that is great, the pergola can simply be attached to the fascia or brick wall. On the other hand if your fascia or brick wall does not offer enough height you may be best off looking into alternative fixing methods like fixing above your roof (fly-over style), or even installing a gable to give you that extra height. Installing your pergola as a fly-over is an affective and practical option if you want to keep it simple, it won’t offer as much height as a gable although will certainly give you that extra half a meter you were hoping for to make all the difference to the feel of your patio area. We recommend having a comfortable minimum height of 2.4m to the underside of the patio roof sheet, although obviously the higher you can go the better. Going higher means more circulation, ventilation and cross flow, keeping you cooler in the summer. 2. What sheet profile do I like? We also offer custom style villa board ceilings, although these can be a less affordable style as these types of ceilings require structural timber or steel frames and purlins. The most commonly used roof sheets used are the Stramit Monoclad and Stramit Sunset as they are both affordable and look great. These sheets can also be mixed up with polycarbonate and/or fibreglass sheeting. The Sunset sheet has an amazing flat look to it once installed; it is very attractive and modern. Monoclad on the other hand is a very practical sheet, it offers outstanding quality and is very diverse in its applications. All of the sheets we offer are Bluescope Colorbond and come in a very wide range of colours. Cooldek, Spacemaker and Versalink all offer insulated panel styled finishes. They have great insulation properties and can be increased in sheet depth to upgrade its insulation values. While offering great insulation they also offer a sleek modern look that can be accompanied with down-lights and ceiling fans. Insulated panels are a great style of sheet that is becoming commonly more fashionable. 3. What colours should I choose for my new pergola? Colours are a key factor in setting the mood of your patio pergola. A common way of choosing the correct colours for your pergola is to compare to the colours of your existing home. You can look at the fascia, bricks and window frame colours to help you decide. You can use existing colours to blend or contrast. It is your unique design so have fun with it. Half Price Patios is all for out there designs that make a statement. Every patio area is unique and the colours you choose will either add or take away from the character of your home. 4. Do I need professional help deciding the style and design? Keep in mind when building your patio pergola you only get one chance, so do it right the first time by seeking professional advice from a Half Price Patios. Our consultants are very experienced and are up to date with all the new pergola and patios products, designs and finishes. At Half Price Patios we love to help with design ideas from the simple to the most unique custom pergolas and decks. We offer a free quote and consultation and truly offer an impeccable service. Half Price Patios offer a wide range of different pergola styles and we don’t shy away from creating custom designs brining to life odd shaped areas. Our consultants are updated frequently on new products and in touch with stunning custom designs. We use state of the art programs to simulate the design of your pergola to give you a complete understanding of what you are getting before diving in. Determining your budget before starting can be the most critical aspect of designing a pergola patio area. Half Price Patios can offer free quotes to help you establish your budget. These quotes can be made in person with a Half Price Patios consultant at your home or even via email and over the phone. Half Price Patios is happy to help, we want our customers to be happy and recommend us to their friends, family and colleagues. We are always honest and helpful plus our prices are very reasonable. We strive to use the highest quality Australian materials while keeping our price lower than any of our competitors. Half Price Patios believes that we are the best patio company in NSW. We offer the highest quality pergola products at literally half the retail price. We have many options and will make sure your pergola, patio or deck will keep within your desired budget. Our DIY pergola online store offers a broad range of pergolas and carports but does not stop there. We also offer DIY aluminium slat panels (commonly used for brick in-fills) and DIY aluminium slat gates. The DIY kits come with all items required to install and finish your DIY pergola, carport or slat project. Does the patio, deck or pergola require council approval (DA or CDC)? If your pergola, deck or patio does not meet the criteria of an exempt development, it is then important to abide by the local or state government authority’s requirements. 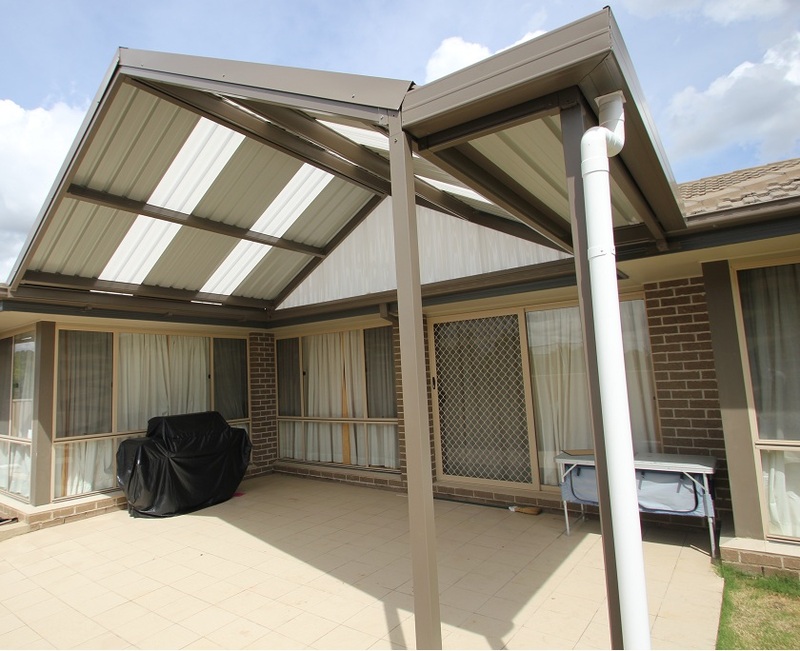 Every local council in New South Wales has its own development control plan (DCP) for pergolas, decks and patios. State government also offers its own approval process which overrides local government’s (council) criteria. It is a must to check your design against council requirements or state government requirements before designing your pergola, deck or patio. Knowing the criteria eliminates the unknowns during the design stage and eases council’s Development Application (DA) or state governments Complying Development Certificate process (CDC). Choosing to go through a DA or CDC is your own personal choice; Council is broader in its criteria and have the ability to be flexible on the design criteria. Complying development is strict on its criteria although is usually a quicker and more straight-forward approval process.